In a time of difficulty, loss or pain, having a clear perspective is almost impossible for any individual. Losing your loved ones has never been easy. But when you die, your loved ones are left to settle your financial affairs. We all know handling finances is a difficult task. 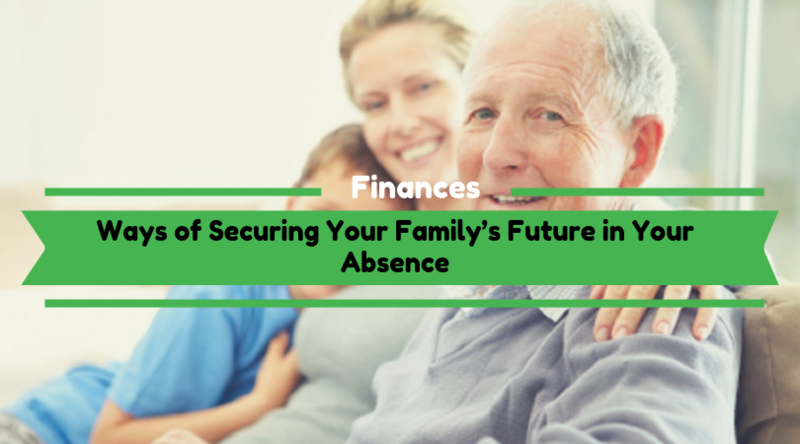 If the main individual of the family who has been taking care of the finances always suddenly passes away, handling finances can become impossible. To make it easier for your family to handle finances after you, here is what you can do. We have tried to include some actionable advice regarding writing a Will, advance directives, power of attorney and living trusts. Creating a File Labelled “My Plan” Store copies of your estate planning documents in a file labelled “My Plan” and put them in your locker. This file should include a copy of your Will End-of-life instructions (such as advance directives and a medical power of attorney) Living trusts Your organ donation list Guardianship decisions Real estate records Financial Records for assets and debts The file should also contain a copy of your official executor signed by you while you are still alive. Later, the copies of this file can be distributed among your heirs, family members, friends and trust. Do not forget to mention your digital estate such as your online accounts and downloaded destinations. Also mention the way you want it all to be handled in your absence. Name Your Executor(s) People usually name a single executor or multiple executors in their Will. An executor is the individual who is in charge of your estate after you die. They are usually responsible for settling your financial affairs, getting your debts and taxes paid and distributing assets. Also, if necessary they have to deal with probate (which is a legal process of authenticating a Will). Couples usually appoint their better half as their executors in the Will. If you are single, then choose someone you trust when writing a Will. An executor can be anyone - your children, a relative or a close friend. On the other hand, having a secondary executor mentioned in the Will means you’re covering all bases. The secondary executor comes will be called upon should your primary executor die or refuse to execute the responsibilities bestowed upon them. Additionally, you are also supposed to inform your family and loved ones about who the primary and secondary executors are. Hence, they would know whom to contact regarding your estate distribution in your absence. If you have any special instructions or wishes to be executed after you die, it is best to inform your executor well in advance. This helps your executor to prepare for any potential risks that may arise and thus can minimise its effects. Add your executor as a co-signer on your financial accounts Having your executor as a co-signer on your financial accounts will make it easier for them to access the money you have in your bank to pay for your funeral and other expenses. The other expenses may include airfare of your loved ones who cannot afford it otherwise or shipping your beloved pet to a distant relative. On the other hand, having a co-signer on your accounts also means that the money will be made available during any probate and is easily made accessible to your heirs. If you do not feel comfortable having a co-signer or rather having your executor to be your co-signer, you can simply give them access to £10,000. This amount of money can be used for your funeral and contracting for home repairs to prepare your house for sale. Rent a safe deposit box In some unfortunate events where your house burns down, it destroys all the records of the estate planning that you have stored. Hence, it is advisable to keep copies of your plan and end-of-life care documents in a bank vault. However, make sure that you have listed your primary and secondary executor as your co-signer for the safe deposit box. Having them as a co-signer gives them a direct access to it and do not forget to give them the keys to the box. Decide an organ donation People usually sign themselves to become an organ donor. So, if you want to become an organ donor, you need to inform your executors, family and close friends. Additionally, you even have to state it in writing and sign the document and preserve it, along with your other important documents. If you want to be buried, buy a grave site If you want to be buried after your death, you can buy your grave site. All you have to do is to mention it in writing and provide the location of the site to your executor, family and friends. Consider Legacy gifts People usually leave some amount of their estate for charitable trusts. However, you can either leave that amount of money for one or more organisations as a gift. Just remember, whatever you decide you give, mention it clearly in your Will. Update your estate plan regularly Not everyone makes a Will or an estate plan early in life. If you are among the few to draft their Will early in life, then you may need to update it. Certain situations in life change over time, if you are married you can get a divorced or you may marry again. For this purpose, keep it a habit to review your estate plan at least once a year. Also, keep the documents updated, including investment and bank statements. This will help you make sure there is no confusion regarding your assets and wishes. We understand that your death can be difficult for your family to overcome. But to make it easier for them, there are few things that you can do while you are still alive. Remember that the key is to make life easy for your family and friends in your absence. Several business owners take debts for buying assets or expanding their business operations. However, when the debts go out of hand problems, and tensions arise. The question of closure of business operations and bankruptcy might also arise. Therefore, it is critical for you to ensure that you get the best guidance for business debt settlement with the aid of a company that evaluates your business debts and creates a strategy for repayment. Experienced professionals to help you out Most businesses especially small to medium scale business houses do not have qualified financial managers to assist you with financial and debt management. The result is that these companies are not able to manage the revenue and the cash flow of the organization properly. The result is debts. If you carefully examine the market today in the USA, you will almost find 49 percent of small business owners facing hardships with their debts. These companies do not know how to manage their debts effectively. Only small businesses that are in the financial niche have the experience and the professionals to manage their accounts. If you take a look at general businesses, you will find that most of the business owners do not have the financial expertise, but they end up making major financial choices. These options might be good or bad. If it is the latter, the company pays the price for the decision made. Many business owners believe that the hardest part of a business is to get started, but those that have debts to clear are of the same opinion that getting rid of business debts is the most challenging part of the company. Do not be afraid of business debts- solutions are at hand Again, most business owners and people associated debts with failure and they do not wish to bring up the topic at all. Some business owners while dealing with daily operations of their business take the extra step and completely ignore the fact that they have debts. It is not a healthy sign for the company at all. It is here that business owners have to step up and actively manage their debts. If your business falls on tough times, the only resort you have is bankruptcy. Here, you cannot pay the debts, and you have no other choice but to shut down your business and file a bankruptcy case in a competent court of law. Business debt settlement- the ultimate solution to all your woes Business debt settlement is the final solution for all your woes when it comes to the elimination of debt. These companies have experienced and qualified professionals that will step in to help you and strategize a plan to clear off all the debts with your creditors. It means you no longer have to worry about winding up your business at all. These business debt settlement companies have experts that are aware of debt management. They will evaluate the debt situation in your business and create a repayment plan. They will negotiate on your behalf with your creditors, and these company debt help specialists will help you and your business get back on your feet. The good news is that when you are facing debt issues, you just need to contact them for an affordable debt relief solution that will help you terminate debts in an organized and legal way. Do not consider bankruptcy as the last option Bankruptcy should never be considered an option when you have business debt settlement specialists by your side. To avail their expert services, you do not have to be a huge business. You may be a small business owner, but these experts will step in to help and guide you when it comes to the eradication of debts. You do not have to wind up your business and call it quits! Now, if the thought of bankruptcy has crossed your mind, it is imperative for you to explore all the available options that you have when you take steps to address the matter. Business debt settlement along with corporate debt restructuring are practical solutions to the whole issue that you can consider. It is obvious that you are not aware of the procedures and the ways via which you can start. However, business debt settlement agencies and experts will explain to you the whole process so that you understand it before incorporating it. With the aid of these two business debt settlement solutions, you can reduce the amount that is due to your creditors. You can reorganize business and debt by giving your business a second chance to recover and bounce back on its feet. Your assets as a business owner are protected as the firm can manage its own debt woes. Your creditors engage in discussion with the target of debt reduction. It helps you maintain a positive and healthy long-term working relationship with your creditors. Get the best solution for your business The experts here state that when it comes to the eradication of debts, closure of your firm on the basis of bankruptcy is the last option that you need to consider. There is help on hand and all you need to do is ask for it. The experts will analyze the scenario and provide you the solution you seek. If you wish to reduce debts, improve cash flow, and improve revenue, these experts are there for you. When you rely on them, you should be honest and transparent with your communication so that they can understand the business scenario of your organization better and give you debt relief solutions with a long-term positive effect! 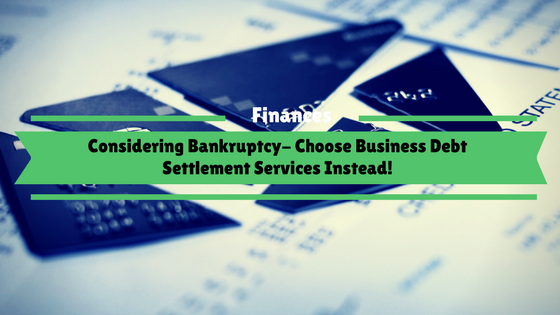 Therefore, if you have pending business debts that you cannot manage anymore, it is important for you to consult experienced and credible business debt settlement companies to help you out. In this way, you will be able to find a viable solution for your debt situation and aid your business bounce back to business again! Hello @gacha . Welcome to InvestOpen.com Thank you for visiting and registering up. Hello @forexpic . Nice to have you on board. Welcome and enjoy your stay. Hello @CarlosR . Welcome to InvestOpen.com Nice to have you here. There are plenty of things you can invest in: Cryptocurrencies, Stocks, mutual funds etc. It depends on your tolerance for risk and the desired profit you want to make. When so much work is dedicated to operating a small business, it can be easy to overlook certain essential elements. Too often small business owners forget to necessitate the importance of separating business and personal expenses. 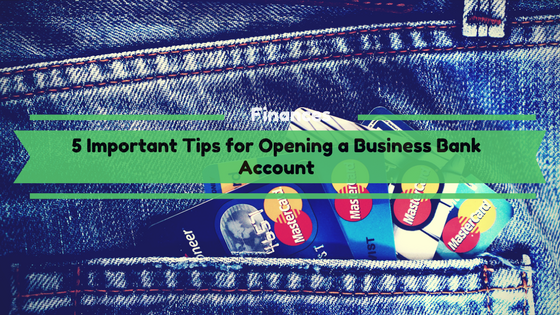 Opening a business account is crucial for any new endeavor. It’s a critical step in legitimizing your business idea into a real business. It also makes it easier to manage budgets and expenses. Not to mention tracking business cash flow and capital. A business bank account is also recommended for tax purposes, building business credit, debt liability, and to designate business write-offs. With so many options for your business needs, opening up the right business bank account for your needs can be a daunting task. To understand where to start, here are five important tips to get your business ready for its new business bank account. 1. Determine what business bank account you need It’s important to first setup your business administration by creating your business name and legal structure as well as company files, before shopping for the right bank account. The way you structure your business will have implications on tax payments, potential liability, and future funding. Once your business has been formally registered with the appropriate local and federal agencies, you’re afforded the ability to open up a business bank account. Your business structure will determine the right business bank account. With several to choose from, such as a business checking account, business savings account, and business certificates of deposit (CDs). It’s advisable to first open a business checking bank account before segueing into a savings account. The transition to a savings account reinforces the focus of saving once the business is cash-flow positive. Certificates of Deposit is a long-term savings account that reduces liquidity, something most small businesses require in the early offset, making this a limited first bank account option. 2.Be aware of fees The depository institution you choose will dictate certain factors such as number of available locations, online and mobile experiences, customer experience, bookkeeping integration, and overall costs and fees. Be mindful of fees once your business has decided on the right type of bank account it requires. Most banks will be structured similarly with the exception of their overall costs and fees. There are banks that provide free business checking bank accounts while other will charge. Generally, banks with required fees provide more services than those without. Besides, certain banks will waive their fees if specific criteria are met. These can include maintaining a minimum balance, spend, and bill payments. Bank account fees are assessed according to the structure of the bank account. The typical bank account costs to look out for, particularly with checking and savings accounts are, monthly service and balance transfer fees, cash deposit fees, wire transfer fees, and minimum balance fees. Typically, CDs come with early withdrawal and broker commission fees. 3. Find the right bank to build your credit Once you’ve prepared your documentation and are ready to open your business bank account, be mindful of the opportunity to request a corporate credit card. A corporate credit card provides your business the platform necessary to build a credit record. It’s important to find the right bank account that will provide your business with a secured credit card. Not every depository institution provides a secured card, so it’s important to compile this research while you shop different financial institutions. A secured card is ideal for business owners with little to poor credit history. Secured cards operate similarly to personal debit cards in that they are backed by funds available in your account. This card can be used to for small business expenses. Just remember to pay it back in full monthly so your business can build credit. 4. Understand the support your business needs The relationship your business has with a financial institution is vital to the future success of your business. Therefore, it is crucial to think about the support and aid your business requires as it grows and changes. Different institutions will provide various support systems. Some banks have specialists that will cater to managing and growing your business. Others will provide advisors in fund growth and business expansions. Some can assist with tax and payroll issues. Accessibility is also essential to note. Does your business require a lot of online banking and does your bank provide the necessary technological structures to manage your business finances on-the-go? Are you able to make deposits through your mobile device or automate your accounts online? It's important that the bank you choose has the platforms necessary to support different business needs. 5. Get your paperwork ready Your business name and structure will format the paperwork to necessitate opening an account. Different institutions will have different requirements, so it’s vital all your paperwork is in order. Often, when opening a business account, banks require a business license with both the business and owner’s name. They will also require your business name filing document. Check with your local and federal agencies for other necessary documentation. Most request your business registration forms as well as valid forms of ID. Exact documentation differs according to your business structure. Additional documentation will be required for a Limited Liability Company (LLC) that may not be necessary for a sole proprietorship business. You must ensure all additional corporate documents are on hand with your business license when submitting your paperwork. No business should function without a business bank account. Finding the right bank is a crucial step in your new endeavor. But as business structures vary, so do bank accounts. It’s important to note which banks work best with your corporate structure and business needs. But just the same, your choice of financial institution is not permanent. If your business requirements are not being met, you are unhappy with their services or have simply outgrown your selected bank, you can choose to change it up. There are many ways to start building a portfolio of valuable investments, but not everything is right for everyone. How a person wants to invest their money, how much they have, and what kind of rate of return they desire all matter. 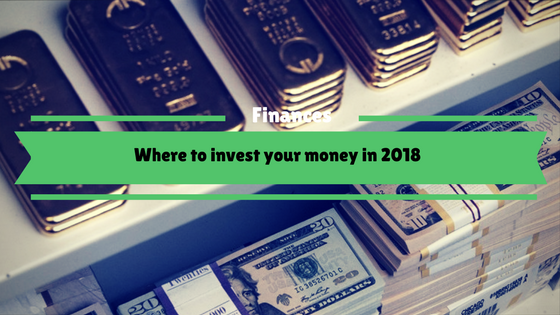 Additionally, it is important for people who want to invest to focus on where their money is and how quickly they might need that money in an emergency. If they need quick access to their investment dollars, some strategies may not be right for them. Many people focus on real estate and forex investing, but which one is right for you? Could both work? Here are pros and cons to consider before making an investment in either one. What Does Forex Have To Offer? Forex involves the purchasing of foreign currency, in much the same way a person would purchase stocks. Then the buyer waits for the value to rise, and resells the currency. They make money on the difference between what they paid and what they sold it for. This can allow people to make a lot very quickly, and to buy and sell rapidly if they need the cash – but only if the value of a currency rises fast from what they paid when they purchased it. The benefits of forex include: Not needing a lot of money up front to get started. Having a high level of liquidity for any money invested. 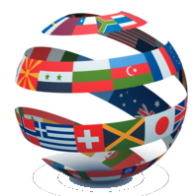 A lot of conveniences, since forex can be done from any place with an internet connection. But even though forex trading might sound like an easy way to make money, there are challenges that also have to be considered. Investors who overlook these risks can end up losing the money they invest quickly. Are There Cautions With Forex Investing? The risk of loss is the biggest caution when it comes to forex investing. Like stocks, this type of investment is not guaranteed in any way. There are also other risks, like: Purchasers can lose some or even all of their investment. There can be fraudulent transactions in this market. If the broker someone is using goes bankrupt it could mean they have no way to collect any money they would have otherwise made, and they may not even be able to get their initial investment back. What is The Value of Real Estate Investment? When most people talk about real estate investments, they're almost always referring to long-term investments rather than the flipping practices that have been popularized by television. Investing in real estate has generally been seen as safe because properties are more static than stocks, forex, and other types of investments. Additionally, real property can be insured so there is a lower chance that there will be a loss if something goes wrong. Still, buying at the top end of the market has its risks, and people who buy real estate are not guaranteed a good income or a good investment. Some of the perks of buying real estate as an investment include: • A lasting value based on a tangible asset. • Flexibility to do different things with the asset (buy, rent, etc.). • Some control over the value, through repairs, improvements, and changes. Is Property a Safe Investing Strategy? While buying property can be a relatively safe investment strategy for most people, there are still concerns to be aware of. One of the main worries for real estate investors is liquidity. Properties are not able to be turned back into cash quickly if money is needed, and not having a liquid asset can make it difficult for people who are trying to invest if their money is tight. Other issues can occur, too, such as: Keeping properties attractive. Trends can change relatively quickly, and design plays a part in determining value and how sellable a property is. The ongoing costs of maintenance and repairs. Insurance and other requirements that new investors may not be aware of. Tenant risks for investors who purchase properties to rent them out. 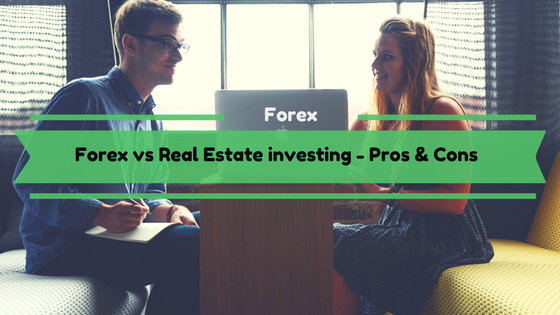 So which should an investor get involved in when it comes to forex and real estate? There is no right or wrong answer to the issue, because both are sound strategies. It will generally come down to what the investor is specifically looking for, in order to get a strategy that meets their needs. In a few years’ time, traditional investments will still be around but judge by the market trends as they stand today, alternative investments will be on the rise, and for a good reason. But what exactly are alternative investments, and which ones promise the highest return with minimal risk of loss? By definition, alternative investments are financial ventures which don’t involve bonds, stocks, and cash, and as such allow investors to diversify their portfolios and achieve high yields. Still, newbies to the alternative investment game should watch their step as these ventures can be extremely volatile, illiquid, and they also entail long lock-up periods, which is why they can end in massive losses rather than fast and easy profits. If you’re still eager to expand your portfolio with the help of alternative investments but aren’t sure which of these ventures promise a high and safe return, here are four of the most common non-mainstream financial ventures you can try for peak yield and minimal loss risk in tow. 1. Fine art If you don’t mind waiting to cash in on your alternative investment, fine art is probably the best option. Investments in rare artwork will add value and variety to your portfolio and at the same time allow you to avoid excessive market fluctuations and loss risks. As a rule, oscillations in the fine art market are significantly lower compared to stocks and bonds, which makes this type of alternative venture perfect for young and up-and-coming investors. If you want to get high yield fast, though, you should look into other alternative investment options: artwork prices change at a relatively slow rate, which means you might have to put the sale off a little if you’re looking to get the biggest return for your buck. 2. Real estate Real estate investments are another area which holds huge profit potential, and the appeal of this type of alternative financial ventures has been on a steady rise among investors worldwide for a few years now. High yield and market stability make real estate trading one of the safest alternative investments you can add to your portfolio whether you’re a seasoned investor or a greenhorn in the game. Even if you’re not an experienced realtor, you can still earn a decent profit through fix-and-flips or resale of residential or commercial property in hot locations. Still, be sure to think through the investment and pick your estates carefully: real estate investments can bring in millions, but not every plot of land is truly worth its weight in cash in the long run. 3. Precious metals Even though money has been the customary payment instrument for a couple of centuries now, gold, silver, and precious stones still have an irresistible appeal for investors. One of the popular alternative investments that promise high yield and low volatility, gold can add credibility and diversity to your investment portfolio, but it shouldn’t account for 3% of your ventures because it doesn’t promise fast profits. In addition to that, silver and gold are a synonym for luxury and status in the finance world, which is another reason to buy precious metals and list the venture in your portfolio even if you’re not looking to use the alternative investment to raise wealth by buckets over night. 4. Hedge funds The most encompassing type of alternative investments, hedge funds represent money pooled together by multiple investors which can then be invested in other non-traditional commodities or assets. Unfortunately, hedge funds often entail low liquidity and high minimum investments, which makes them a better tool for seasoned investors looking to add interest to their portfolio. On top of that, investors with hedge funds in their portfolio also need to pick the right strategies to ensure peak return, or else their cash might easily be flushed down the drain. The list of most common hedge fund deployment strategies you can look into includes distressed assets, equity long-short, arbitrage, and macro-trends. 5. Start-ups and private companies Since technology is developing quickly it is always a good idea to invest in companies specializing in those fields. So, as an investor, you cannot make a mistake if you directly invest in a private company or a start-up. What is more, investing seed capital in such companies is often called angel investing. There is always a high return strategy and a high risk for investors, but not all start-ups end up failing. Also, besides the new and growing companies, you can turn to more mature ones, since they always seek investment capital during their life cycle. 6. Fund of funds Such investments include investing in large vehicles. However, those are not just any large vehicles, but the ones that form funds to invest in some other alternative. As an investor, you can often acquire more gain diversification if you invest in several asset classes, strategies, or managers. 7. Private equity Today, private companies are outnumbering the public ones, and that is why many of them will seek for investors. These types of firms usually raise their funds and take investments from both institutional and non-institutional investors. Further, those funds are used to place investments in promising companies and the capital is thus returned to the investor upon exiting event. This term, private equity, is broad and it includes private companies that can include start-ups, financing through phases of a growth of a company, venture capital and so on. 8. Private placement debt This is also one big market in the space of alternative investments. It is similar to equity, but there are no private placement bonds issued or traded in public. Also, they do not have to be rated by an agency for credit rating. For example, mezzanine debt and promissory notes are often used to fund private companies, but the investors are given steady cash flow. If you’re looking to boost investment portfolio diversity and ensure high and safe yield, you can invest in fine art, real estate, or precious metals, or you can pool your cash with other investors into a hedge fund and hire an expert to keep an eye out on your interest. 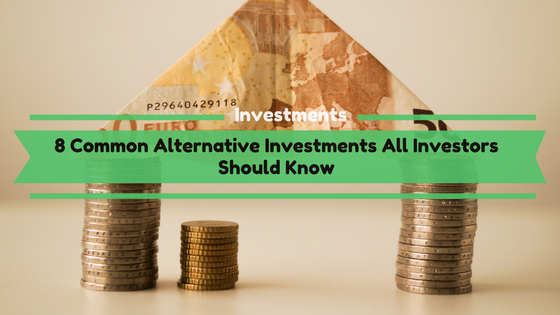 Each of the alternative investment types listed above has its advantages and downsides, and not each and every one of them will fit your bill in the long run. Nevertheless, if you think through the venture before you make it, the high return will certainly find its way into your piggy bank within a few years’ time.